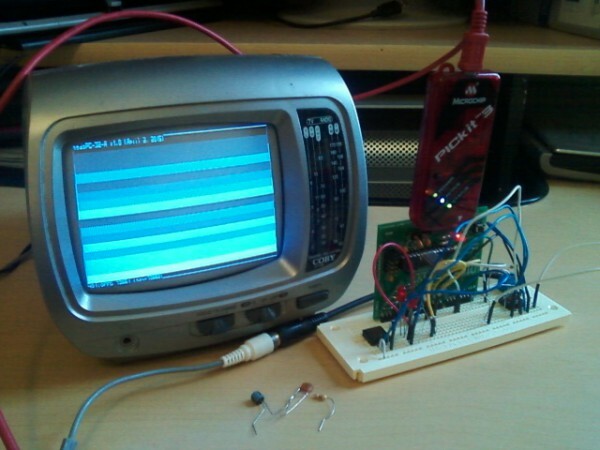 PIC32 code based on “NTSC TV interface” examples from hackaday.io/project/2032-pic32-oscilloscope by Bruce Land (Cornell University) that is based on some ideas from “Programming 32-bit Microcontrollers in C: Exploring the PIC32” by Lucio Di Jasio. This entry was posted on Thursday, April 9th, 2015 at 2:50 pm	and is filed under library. You can follow any responses to this entry through the RSS 2.0 feed. You can skip to the end and leave a response. Pinging is currently not allowed.